The Beatles' 'White Album' Returns To The Charts Behind Magnificent 50th Anniversary Reissue . Beatles Radio: The Beatles, Solos, Covers, Birthdays, News The Fab 4 and More! It’s the highest charting week from the White Album since March 29, 1969, when the release appeared at No. 5. 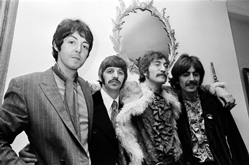 The record, officially titled The Beatles, spent nine nonconsecutive weeks at No. 1 between Dec. 1968 and March 1969. The White Album, known for hosting some of the Fab Four’s weirdest, heaviest and outright best compositions, found new life in 2018 thanks in-part to Giles Martin, the son of famed Beatles producer George Martin, who dove deep into Abbey Road archives to remix and repackage the famed release.